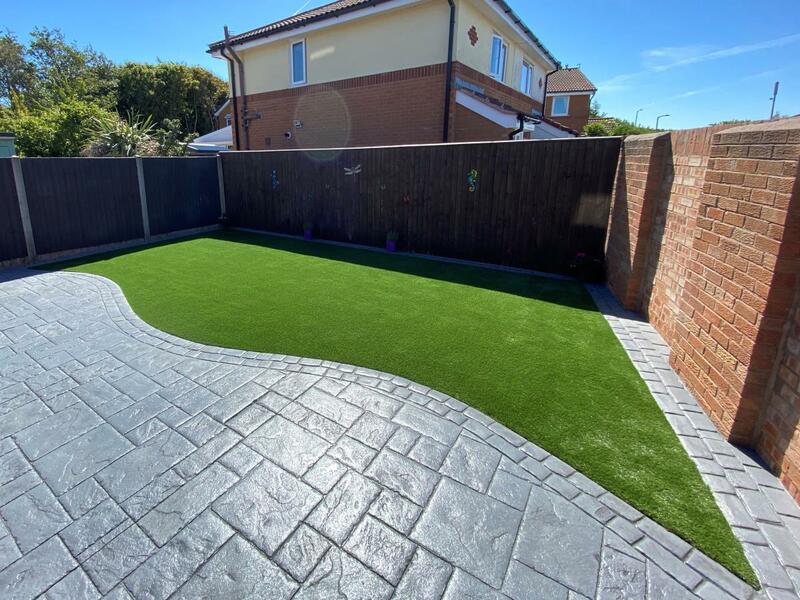 In addition to our low maintenance pattern imprinted concrete Driveways, Paths and Patios, we also offer high quality artificial grass. Low Maintenance - No more watering, feeding, weeding and mowing your lawn. 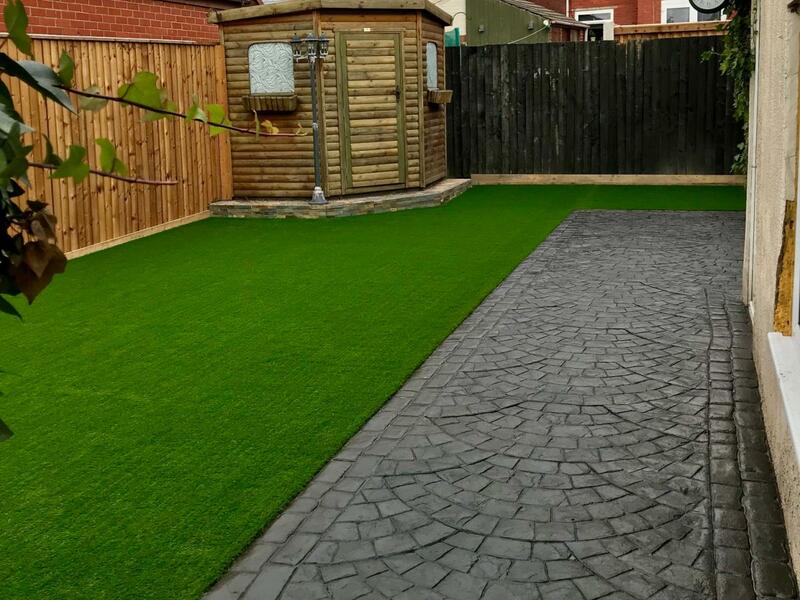 Artificial grass gives you the low maintenance of paving, whilst providing a lush green space to enjoy. Child and Pet Friendly - Ideal for kids and their furry friends, our lawns offer a cushioned area to play on that is easy to keep clean and tidy. Perfect for mucky hands and paws. Durable Design - Our grass is UV stabilised to prevent it fading when exposed to sunlight and a bitumen-coated latex backing ensures maximum durability for everyday use. Non-Toxic - Unlike some cheaper Chinese alternatives, our turf is manufactured under the highest quality control measures and guaranteed to be free of harmful lead and cadmium. Great Drainage - Our artificial lawns contain drainage holes to prevent puddles from forming and remaining following heavy rainfall. Although often referred to as fake grass, modern artificial lawns look remarkably like the real thing. Just like real grass, today's artificial grass is available in a range of different styles. From long, bushy grass to crisp, densely woven short pile, you can have a wild, rustic appearance or a pristine, manicured looking lawn. Choose from an all or mixed green appearance, silky or springy grass. Cushioned for comfort when lying on it or cut short like a bowling green. The choice is yours. 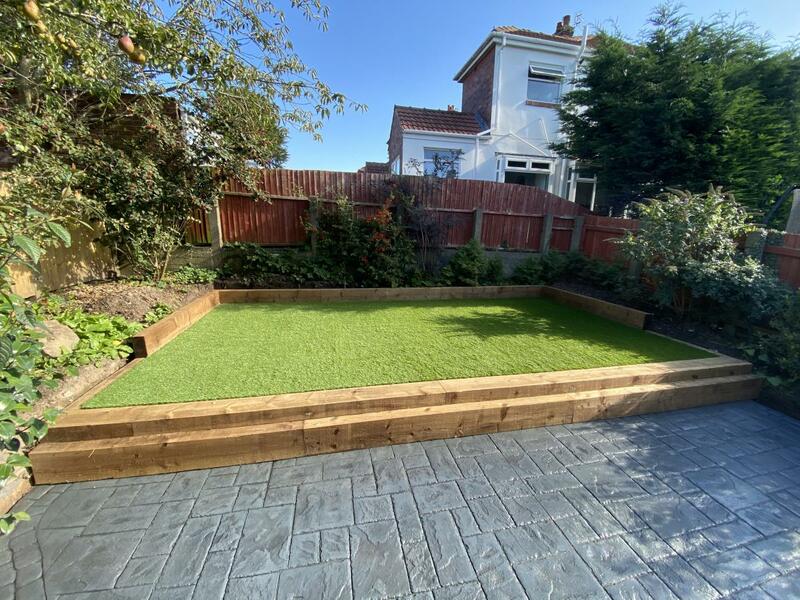 For examples of our Artificial Grass, have a look through our Photo Gallery. References from previous customers are also available on our Testimonials page. If there's any other work you're considering as part of your Artificial Gras project, please let us know and we'll provide you with a quotation if we can.